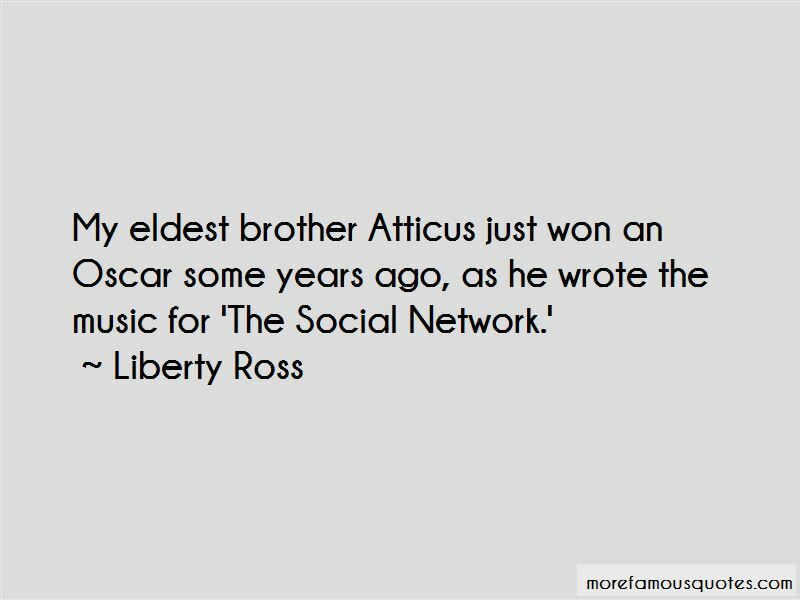 Enjoy the top 30 famous quotes, sayings and quotations by Liberty Ross. Trusting your gut is always the best thing - no matter what people around you insist you should be doing or saying or thinking. Only you know and once you live in truth,your heart is completely free. I still have my Levi's jacket that I bought on the Portobello Road when I was 14, and it's like part of me, you know, it's got oils in it, and it's my comfort, security blanket or something. I romanticized domesticity for a while, and loved having a shopping list of groceries stuck to the fridge for the first time. Acting has always been something I've wanted to get into. I think the best models are actors; you're taking on a character. In that sense, I have been acting for a long time. It didn't seem like a crazy transition. 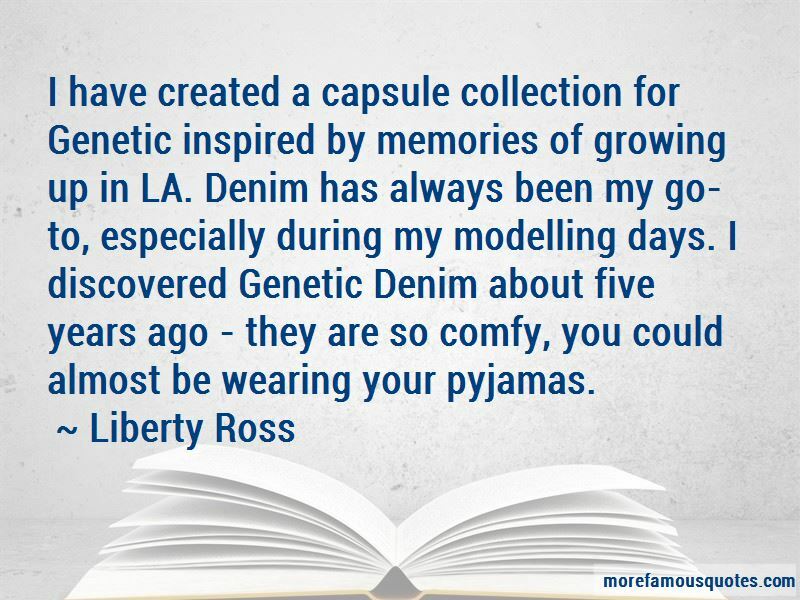 There's a jean for everyone. And I'm a fan of that. I love a jean, and I love all these spins on them. I love a printed Balmain jean, or a Givenchy, and I love the prints, I love that you can have so much fun with it all, you know, dressing up. Lots of girls will work for five years before Mario Testino will use them, and I was not prepared to slog around doing that. 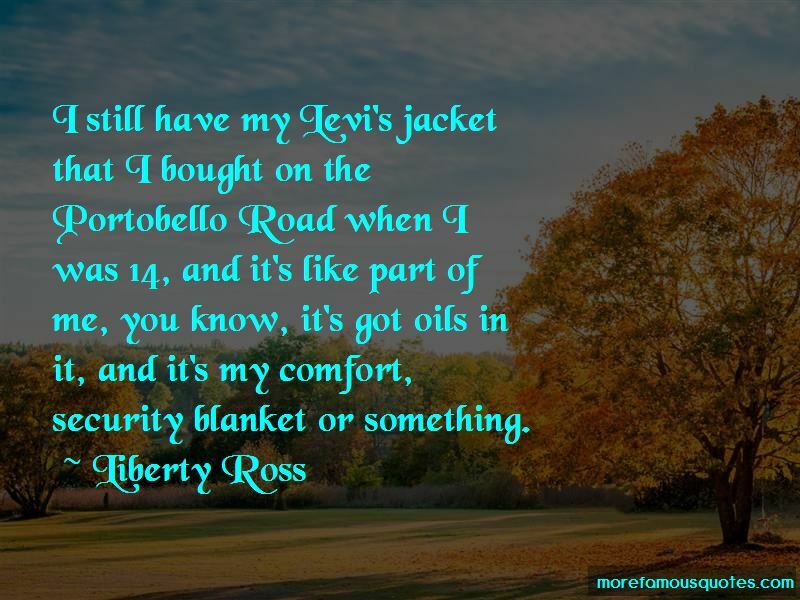 Want to see more pictures of Liberty Ross quotes? 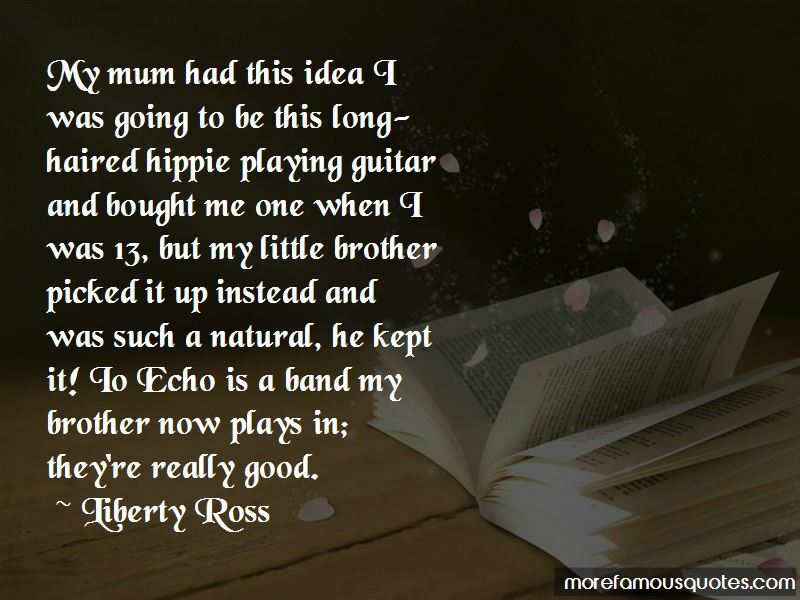 Click on image of Liberty Ross quotes to view full size.